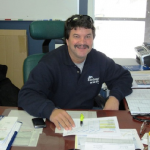 Doug has been servicing the boating industry for over forty years. He started working for his dad at the age of fourteen and by the age of twenty was working full time. He has been a marine and small engine technician since 1981. He strives to keep his clients happy and will stop at nothing to do just that. You can usually find Doug somewhere around the Marina seven days a week during the busy season, whether it be in the Bobcat, Forklift or just helping one of the techs in the yard. Linda has been working at McGregor on the Water since its inception more than eighteen years ago. 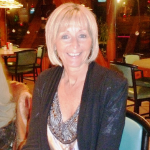 She graduated from Humber College as a Lab Technician and also raised a family for over twenty years. Linda is Vice-President of the company and oversees all aspects of the office. She is a member of the Joint Health and Safety Committee. After the purchase of a boat at McGregor on the Water over 7 seasons ago, Bruce and his wife have been here ever since as slip clients. 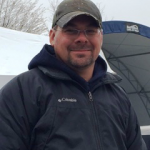 Spending most of his winter in the hockey rink, it is Bruce’s love of boating in the summer that has brought him on board with us in the sales department for the past 5 years. Involved in customer service for almost 40 years, Bruce has a high level of energy and dedication to satisfy the customer. 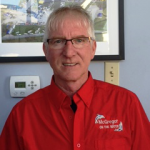 Bruce enjoys dealing with people, and his knowledge of boats and boating helps customers to make informed decisions, so as to get them on the water. 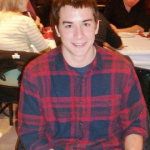 Andrew worked as a summer student for six years at McGregor on the Water. He graduated O.D.C.V.I with honours and graduated from Wilfrid Laurier University in the Honours Business Co-op Program, and has obtained his CFA. 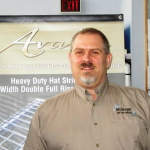 Andrew has worked in the service department, on the Fuel Dock, and performing administration duties in the office. 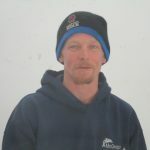 Andrew currently does not work on the marina property but acts as a consultant with us on all aspects of the business. He is a wealth of knowledge and an important aspect in the success of the marina. Laura has worked at the marina part-time for sixteen years and attended Innisdale Secondary School where she graduated with Honours. She then went on to graduate from Barrie College of Hair and Aesthetics and is now a part-time Senior Hair Stylist in Barrie during the week. Laura has completed her Level One coaching and enjoys teaching figure skating three nights a week. Laura helps out in every aspect of the marina; whether it be in the office, on the fuel dock, helping with maintenance, detailing boats, and pick-up and deliveries. Laura has her First Aid Certificate and acts as a member of our safety committee. Erin has been working at McGregor on the Water for eighteen years, working her way up from a summer student. 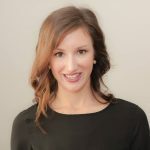 She graduated from O.D.C.V.I with honours and then went on to graduate from Wilfrid Laurier University in 2008 with a Bachelors Degree in Honours Psychology. Erin has worked full time with us since then. Erin splits her time between the office and supervising the Fuel Dock. Erin has her Safety Supervisor Certificate, Safe Gas Dock Attendant Certificate as well as her First Aid Certificate and she stands as our Safety Supervisor. In her spare time she is ISPC Skate Canada Certified and coaches figure skating. 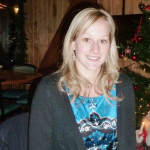 She lives in Orillia with her husband Mitchell and daughters, Hannah & Quinn. This is Matt’s fifth summer season at MOTW. He was born and raised in New Zealand. Matt studied Electronics at Auckland Institute of Technology and entered the field as a service technician. Matt’s interest in Music led him to complete a diploma in audio engineering at SAE Institute New Zealand. Matt ended up traveling and took a job on a cruise line for four years where he met a beautiful Canadian whom he is now married to. 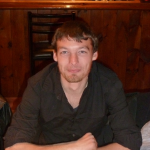 After immigrating to Canada, Matt studied at Georgian College to gain his certificate as a Marine Engine Mechanic. He was awarded the Percy Alfred Pegahmagabow Memorial Award. He is currently a Level 3 Apprentice and is just waiting to write his final exam to become a licensed Marine Technician. Matt is always actively seeking expertise and is continuing his education with Mercury University. Mark has been with McGregor on the Water for twelve years. He attended O.D.C.V.I high school in Orillia and then went on to graduate from Georgian College. He participated in Georgian’s apprenticeship program and is now a Licensed Marine Technician. He is actively continuing his education with Mercury University. We are very proud of the hard work Mark did over the winter and is now Mercury Outboard and Mercruiser Certified. Mark is the shop supervisor and we value his wealth of knowledge. He oversees the other technicians and offers assistance whenever needed. There is no job that Mark is not afraid to tackle and we have the utmost confidence in his ability to complete any job he comes across. This will be Roy’s third summer at McGregor on the Water. Roy has over 35 years in the commercial industry. He was a service manager in the glass business dealing with customer service and ordering. Roy is acting as Parts Manager and Service Writer at the marina. If we don’t have what you need in stock Roy will do his best to find it! Rob started working at McGregor on the Water in May of 2015. Rob works as a technician alongside Mark and Matt. He is currently enrolled in many courses through Mercury University. Rob is always willing to give his all to keep our customers happy and on the water. He currently resides nearby with partner Kayla and baby boy Jace.